Your ESTA takes you to sunny Miami? Here are 9 activities that will make your vacation unforgettable without exhausting your budget. 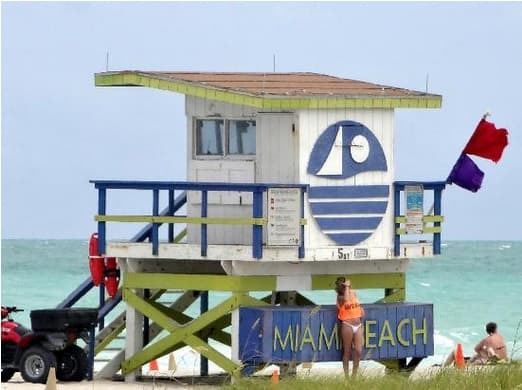 Miami is known as one of the most eclectic and entertaining cities in the world, thanks to its wonderful beaches, fashionable restaurants, impressive architecture and nightlife with which few destinations can compete. For nudists , we recommend Haulover Beach on Bal Harbor. The lighthouse , known as the Bill Baggs Park, on Key Biscayne . 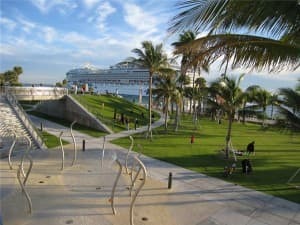 This park is built around one of the most beautiful beaches in Miami. You can rent a bicycle, a deck chair and a parasol for the beach. Miami Beach and Art Deco District will help you discover the magic of Ocean Drive , Lincoln Road and Collins Avenue . While strolling among the crowd you will immerse yourself in the colors, sun, smells and culture of Miami Beach. A walk on the Central Miami Pier . If history, shopping, art or entertainment interests you, do not miss the opportunity to visit this picturesque part of the city. A visit to the neighborhood of Havana, Calle Hocho . Stroll through what is known as the Cuba of Miami. Discover the flavors and places that this area offers. 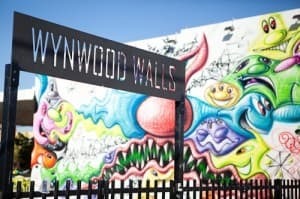 A walk in Wynwood , the area of ​​Street Art, where local or visiting artists have created one of the most vibrant areas of the city. In Wynwood you will also find discos and restaurants with happy hour offers. The New World Symphony in Miami Beach on Saturdays and Sundays at a very low price. PAMM, “Perez Museum of Art of Miami” , in the center of the city, with free entrance on the second Saturday of the month. Adrienne Arsht Center , free visits on Mondays and Saturdays. 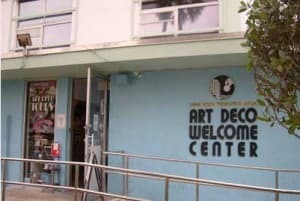 Walk of Art, Design District and Wynwood , where many Art Galleries offer free entry to the public on the second Saturday of the month from 7 pm to 10 pm. Cultural Fridays , Calle Ocho in Petit Cuba with musical performances and art exhibitions in the open air. Every last Friday of the month, in the evening. 4) Visit one of Miami’s many parks and gardens for free. The tropical climate of Miami is an ideal natural habitat for flora and fauna. Public gardens are open to the public for free all year round; Others have offers throughout the year on certain days of the week. The Miami Beach Botanical Garden , closed on Monday. See offers and discounts on the website. ● The Crandon Park of Key Biscayne , of an incredible hidden beauty. Since signage is deficient, it is advisable to prepare the itinerary in advance to reach the entrance; Parking will cost you $ 5. The Japanese Garden Ichimura, on Watson Island , open every day. The South Pointe Park, Miami Beach , where the legendary beach ends. From here, on Saturday night, you will enjoy the spectacle of cruise ships that leave the port of Miami. ● The Vizcaya Museum and Gardens, Coconut Grove . A tour recommended by all Miami tourist guides. There are free entries on weekends. 5) Attend one of the many free events, and festivals. South Florida offers a temperate climate throughout the year. This makes Miami a preferred destination for national and international events, some of which are free. Miami Festival , a music festival for more than 30 years; The events take place in October at the Frost School of Music in the University of Miami. 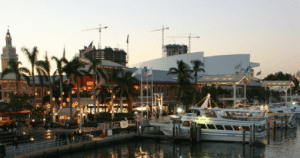 International Boat Show in February at the Miami Beach Convention Center and various sporting harbors in the city. New Year Celebrations on Ocean Drive. 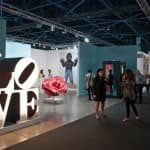 Art Basel , the first week of December, presents the works of plastic artists from around the world; Entry fee of $ 5 to $ 15. Take the South Beach bus at a cost of 25 cents per trip or use the Swoop, a six-seat electric golf cart, free of charge. Think of the tip for the driver. 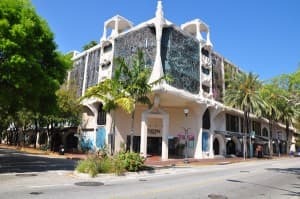 Discover Art Deco architecture by visiting the former residence of Gianni Versace on Ocean Drive, walking along the pedestrian streets of the South Beach, or admiring the Delano Hotel, National or Raleigh. Go to Lummus Park , or to the beach . Showcase window shopping in front of the many clothing design shops on Lincoln Road and Collins Avenue. It is the most historic area of ​​Miami, and the favorite place of the famous poet Robert Frost. In the eighties, he dominated the night scene of the city; Still today, it retains a special charm. The Park Barnacle State , completed in 1891, the oldest in Miami.. The Peacock Park , a 38,000 square meter public park on the edge of Biscayne Bay. Cocowalk , a lovely open-air shopping center in the heart of Coconut Grove. The buildings and streets of Mayfair , with typical architecture. 8) Visit Bayfront at & nbsp; center of Miami. The Miami name comes from the word “Mayami” , a term used by Indians native to Florida, which means “strong water”. Miami, in fact, looks a bit like a modern Venice, with canals everywhere, bordered by a varied architecture. Even the center of Miami has its own pier facing the bay, full of charm, and rich with many free events all year round. Bayfront Park : You will enjoy a stroll between the modern architecture of the city and the bay of Miami, with the Miami Beach backdrop. The Bayside shopping center , historic outdoor shopping center, very popular among passengers on cruise ships, docked in the neighboring port. The Liberty Tower , where Cuban refugees were welcomed upon arrival, is now a museum. 9) Visit the Little Havana. Take a walk in the eighth street in the Miami area known as Little Havana. You will be immersed in a magical Caribbean atmosphere, as if you were in Cuba. Domino Park where Cubans practice one of their favorite pastimes, dominoes. Open every day and free admission. The Bay of Pigs Memorial . The Cultural Fridays, Calle Ocho of Little Cuba, with musical activities and outdoor art exhibitions, on the last Friday of each month, at night. Whether your permission ESTA allows you a great holiday or discovery trip , We wish you a safe and enjoyable trip to the United States.